This information will help me prepare and be ready for your session. I look forward to seeing your little one for a fun and adorable session! Consider your baby's nap schedule and when he'll be nice and rested. Doing the two sessions together will be $300. We will take some time for pictures with just baby before the cake smash. This is the Pre-Cake Smash part of the session. We can go really elaborate with decorations or keep things simple. (See below for decoration options.) You can also bring any decorations or items to use just let me know what it is so I can get the studio all ready to go. What theme and/or colors would you like to use for the pre-cake smash? 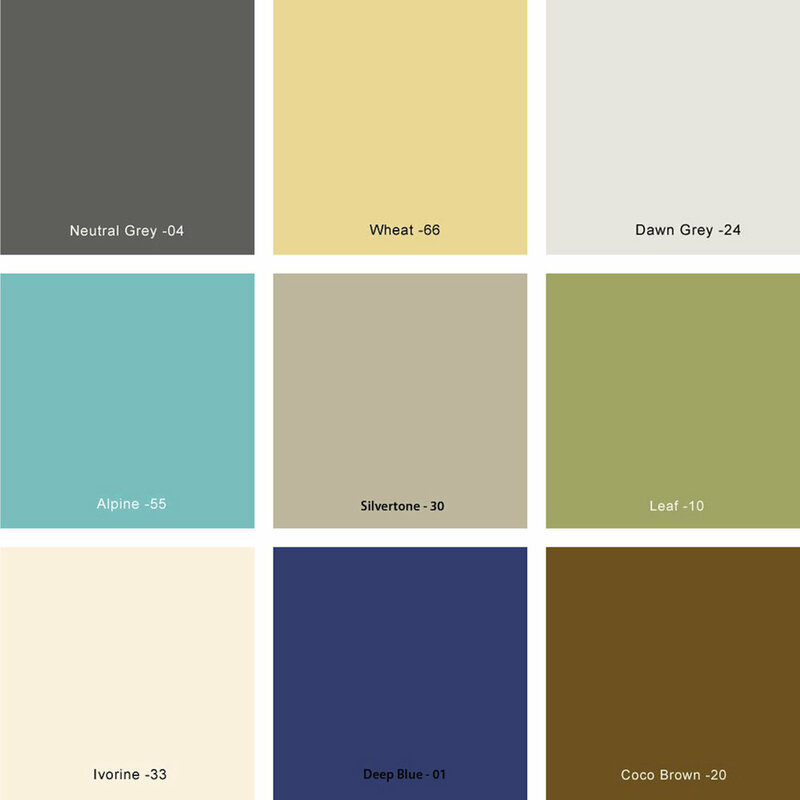 This is the color of paper that will be used for the backdrop and floor during the entire session if you'd like a studio session. Please list a different color you're hoping for your backdrop. Are you bringing anything special that you would like to use in the session? Please select which items you'd like me to provide for the session. Some are an additional charge if indicated. If you'd like me to provide balloons, what color(s) would you like? If you'd like something written on a letterboard, please print it here exactly how you'd like it. 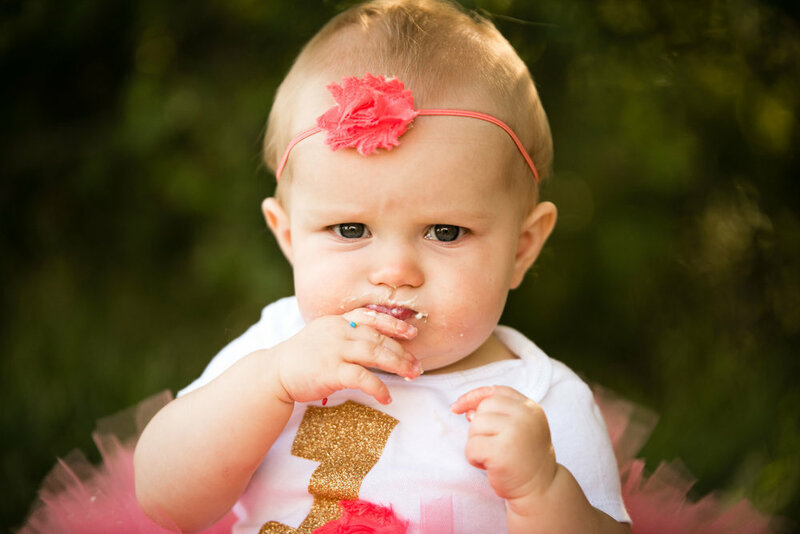 The Cake Smash portion will be for your baby to have fun and enjoy their cake. Some babies are unsure and need a little prodding from mom. And some baby's like to dive right in. Whatever they want to do with their cake I'll be snapping away. And don't worry if there are tears. They (probably) won't be scarred and they make for some very memorable pictures. Would you like me to order the cake? If yes, we'll chat about what you want the cake to look like and your budget. I have a cake decorator who I can order the cake from so you don't have to worry at all about it. If I'm not providing it for you. What do you prefer to have your baby wear? What type of accessories do you prefer? Bring whatever you'd like for your baby to wear for the Pre-Cake Smash and Cake Smash including onesies, rompers, headbands, shorts and hats. Feel free to also bring any props you'd like to use including signs, balloons, favorite books, toys or blankets. Bring a change of clothes for baby after the session. I will have wipes and wet and dry towels to clean you and your baby off. I will also have a couple garbage sacks for soiled laundry. Have baby fed and rested upon arrival. Sessions right after nap time are super helpful. Birthday Party Invitations - printed on 5x7 pearl archival paper with envelopes included. $50 per 25. Thank you cards - printed on 5x7 pearl archival paper with envelopes included. $50 per 25.